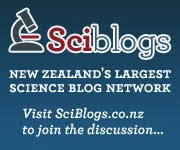 Sciblogs was launched last Wednesday by the NZ Science Media Centre. It’s the largest science blog network in NZ and puts in one place all NZ’s science blogs. The Scientist NZ is honoured to be a part of it. It’s a fantastic effort, and hopefully will go a long way to encouraging discussion about science in NZ. Through Sciblogs I was made aware of this post and this article in the ODT about Otago University future-proofing itself against an increasing shortage of academic staff. In my opinion, what could be part of the blame is the lack of a logical career progression in NZ science once you have finished your PhD. This has been written about before by the Gen Y Scientist here, but in light of this article and comments from the Chief Science Advisor, Sir Peter Gluckman about the lack of career paths in NZ science, I think it should be mentioned again. It would be impossible to get a job as an academic as soon as you finish your PhD (unless you were Einstein), so when one finishes a PhD and wants to become an academic they usually take up a postdoc position in a research lab in order to gain further experience in academia. After this they look to make the transition to lecturer. The problem in NZ is that postdocs are not funded by the university system (like PhD students), and as a result overheads must be paid to their host university from the grant they are working on. As they are more qualified they demand a higher salary, and so combined with overheads, a postdoc will cost $150,000 per year, while a PhD student will cost $30,000 – you can get 5 PhD students for every 1 postdoc! This means that the number of postdocs that get written into grant applications is incredibly low compared to PhD students, and so many recent PhD graduates looking for a career in academia go overseas. Once overseas, where they are exposed to better funding regimes, higher salaries and a lifestyle that isn’t actually that bad (in some ways I agree with Dr. Andrew Wilson in the ‘Big Science’ article), why would they come back? Perhaps one solution is that the NZ government could in some way subsidise more postdoc positions so that they can conduct post-PhD research in NZ. That way they can gain valuable experience and perhaps go some way to filling the supposed shortage of academic staff. Thanks for this post Aaron – I completely agree. The overheads associated with postdocs here in New Zealand are massive (along the lines of 120% of the salary). And so you end up with labs/research groups that are run by one or two very busy academics, and then filled with postgraduate students. Postdocs bring a different element to a research group – they are experienced at conducting research and require less supervision time than students – all going to plan they are actively involved in the supervision of the students in the group, and therefore lead to vibrant and interactive research environments. I was recently in Perth, and found that the situation was the complete opposite – they have lots of postdocs (as the overheads are more along the lines of 20%), but then have problems attracting good postgrad students due to high demand for graduates in the consulting firms that service the mining industry. I wonder why there are such big differences in salary-associated overheads between NZ and Australian universities? Doesn’t the Foundation for Research, Science and Technology still provide funding for postdoctoral positions. I was awarded one to come back to New Zealand for a 2 year postdoc, and I believe they can also be used to do postdoc’s overseas. There used to be about 20 a year. Yes, the FRST post-doc’s are still available (see http://www.frst.govt.nz/funding/students/postdoc) and strangely enough in our full cost recovery system, they don’t pay overheads. They also have the rather unique requirement that you need to have finished your PhD before you apply – unlike any other sort of job you can’t apply in anticipation of finishing your degree. However, the lack of post-doc positions on the New Zealand scene is the result of New Zealand scientists receiving about half the funding per FTE compared to their counterparts in Australia. This naturally favours graduate students rather than post-doc’s. Thanks, Shaun. Yes, I agree. Does anyone know why the overheads in NZ are so high compared to Australia? There seem to be some very simple solutions to this, which is rather frustrating! NZ has a full cost recovery funding system i.e. the overheads on our grants pay for the plumbing, the accountant and the scientists’ salaries. In most other countries (including Australia), research funding is marginal i.e. it pays for the extra costs incurred in doing the research, not for baseline bricks and mortar, which will be there whether the grant is successful or not. The idea behind full cost recovery is that it is supposed to encourage efficient allocation of resources e.g. to cheap Min Ed subsidised PhDs rather than expensive unsubsidised post-docs!